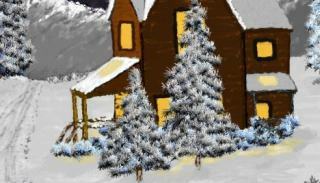 The original we started from was a pretty light colored image. What if we wanted it to be more of a dark, night-time mood? 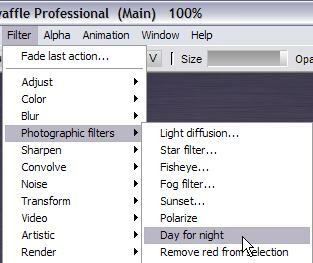 This filter sort of trades day for night, making it all darker and reducing color saturation. Perhaps also adding a slight blueish tint. Click the [Render] button a few times until it's the right amount of darkness you want. 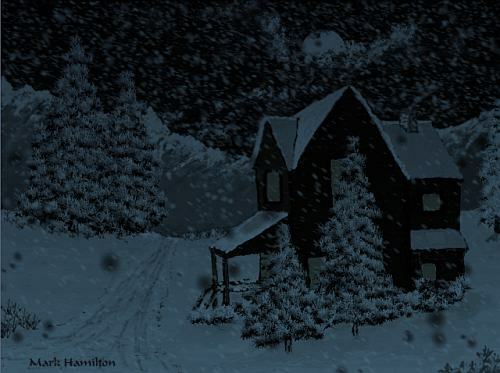 At night, additional mood can be conveyed by showing life in the house, or more precisely: showing light! Select the area in one of the windows. 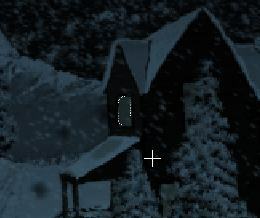 For example the left-side window on this image. 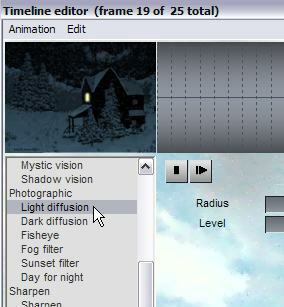 Once you have select the pixels belonging to that window, there are several ways to turn on the light in there. 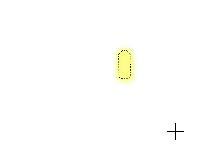 Select the desired color, such as light yellow. Use the right mouse button to make it the secondary color. Then right-click on the [X] (CLEAR) tool, and select "Clear selected to secondary"
This clears the window to gright yellow. Here's the result, with Alpha turned off so we don't get distracted by the marching ants. Note that you could also have disabled alpha, i.e. no need to really clear alpha if you just temporarily want to turn it off. However, this is just one of many frames. And we're not going to have the patience to do this again and again for each frame. We will want instead to use a trick from the timeline editor to clear or combine the original pixels with the bright yellow color across all frames. Dogwaffle has two image buffers: the main one containing your image(s), and a single swap buffer which you could think of as being the back side of the canvas. It's able to contain another image. We'll use it to contain the bright yellow light which we want to get into the window area. Once we've got the bright yellow in the swap buffer, we can go back to the Timeline editor and combine the bright yellow pixels with the pixels of the window from the main image buffer, across all frames. 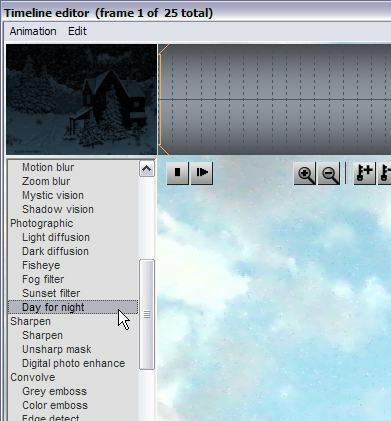 Using the alpha channel's selection, clear the window content to the desired color. 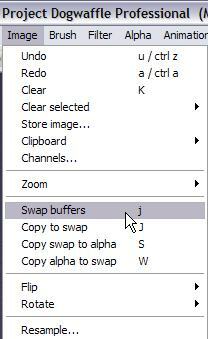 We could leave the rest around it nlack, if we were going to 'add' the swap buffer's colors to the main buffer colors. But we may try other tricks, affecting only the pixels inside the alpha mask. So we can ignore what color it actually is. outside of the selection. Now jump back to the Main buffer, and go to the Timeline editor. 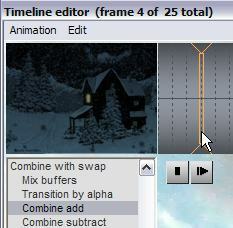 In the Timeline editor, scroll down to the group of filters entitled "Combine with swap"
Click a few or all of them to see their effect. Some will combine to a nice bright yellow lighting in the window. Some may simply replace the pixels in the window. But other modes might show more of the original details still partly visible. 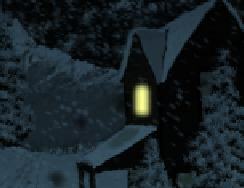 For example if you have a dark, wooden cross frame in the middle of that window, you'd expect it to get a little brighter but not disappear in the floodlight. If the effect of the chosen combination is too intense, i.e. too bright a window resulting from it and too much contracts showing in the resulting preview, then you could adjust the alpha mask to dim the resulting combination. reduce the 'Value' slider, perhaps to half its original value. 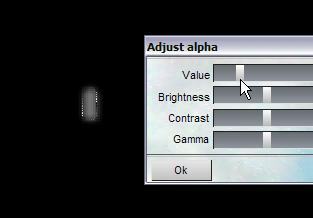 The greyscale representation of the alpha mask turns the window selection from white to a mid grey. and here's the result in the Timeline editor with less contracts in the preview. You can render it more than once too.